Casino Luck – nomen est omen? 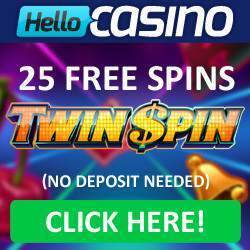 Casino Luck is a fairly new online casino that calls itself a 2.0 casino. The casino is among others linked to the Microgaming and NetEnt platform. These parties are two of the major players in the online casino gaming world. But they have more, such as IGT (WagerWorks), Betsoft, iSoftBet, Play’n GO, Evolution Gaming and NYX Interactive. 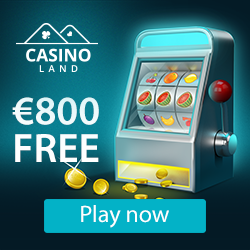 Casino Luck is not just a tasty welcome bonus 100% up to 150 Euros + 100 free spins on a selection of their top slots but also a nice monthly reload bonus. Every month you get a nice bonus on your first deposit. 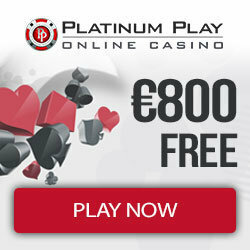 You will receive 50% extra play money to an amount of 200 Euros when a first deposit in a new month. That makes it extra attractive to open an account at CasinoLuck. Every casino player will be pleased with the variety of games available at Casino Luck. The casino has many of the well-known titles, which are complemented by a wide variety of slot machines all look good and exciting to play. Take the lesser known Immortal Romance slot with a cool theme and one of the best soundtracks we’ve heard on an online casino game. Sticky Win is also a special variant where you get a Sticky Win symbol. No other slot allows players to win as much as a normal spin. Pretty unique. In addition to their quirky slot machines, Casino Luck has an abundance of table games and specialty games. Some of these games can’t be played anywhere else. Hi Lo Switch lock, for example, is a game where players bet on whether a card is higher or lower than the displayed card, as you sometimes see on TV gameshows! There are several variants of blackjack, casino poker and video poker as well as plenty of colorful scratch card games and more. Casino Luck provides enough games to keep everyone busy for hours. Where CasinoLuck casino calls itself a 2.0 casino and has a beautiful site with state-of-the-art games, they stay behind a bit where it comes to customer support. Today you should expect that a casino of that size has an online live chat. The casino clearly prefers correspondence through the mail because a phone can not be found. They do indicate to respond within 24 hours, but for us it still feels like a missed opportunity in terms of service. CasinoLuck is very professional with their responsibilities as a casino. Where there are plenty of online casinos that do not take too much responsibility, CasinoLuck offers players the tools they need when they get too carried away in the casino games. Players can, without going through the casino, choose to exclude themselves for a week or six months. CasinoLuck takes this self-exclusion options seriously and will not allow the players to reactivate. The casino also offers permanent self-exclusion, and their website is filled with tips and advice to combat gambling addiction and to warn you as a player for the risks. Players may set limits and they can transfer to their casino account, this is also a way for compulsive gamblers to protect themselves against making hasty decisions. Thumbs up for CasinoLuck for their policies in this area. An example for any other casino. Casino Luck shows in their footer it is “RNG Certified”. This is also true for all NetEnt flash casino games are tested and certified by the industry giant Technical Systems Testing (www.tstglobal.com), thus also the versions on the site of Casino Luck. All games are played directly via a NetEnt server and individual operators can not make changes to the RNG or payout. CasinoLuck also states that it uses SSL encryption to store all sensitive data is protected as it should be.